You've got a nice, quick, and easy way to make your coffee in the morning using your Keurig coffee machine, but what about when you want some quick and easy cookies? 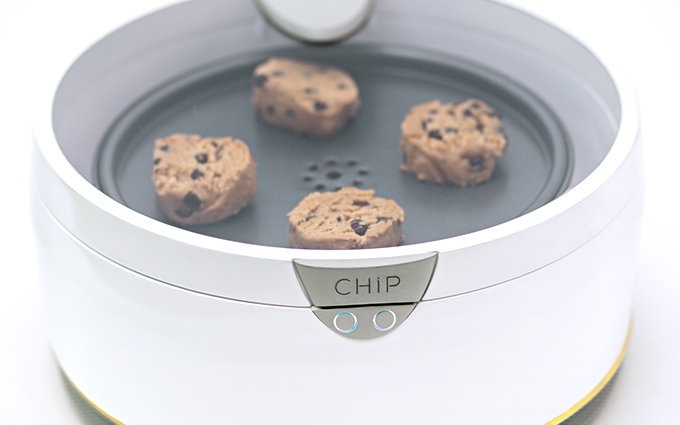 The CHiP is a smart cookie oven that allows you to quickly make cookies in just 10 minutes. 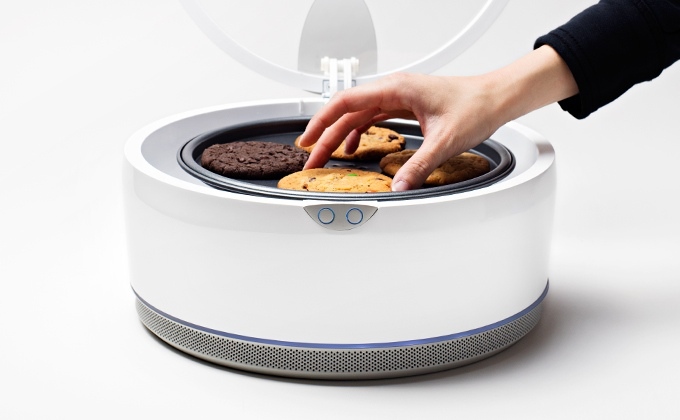 They even have little pre-made cookie pods that you put on the tray and then you can start and monitor the cookies all from your smart phone. 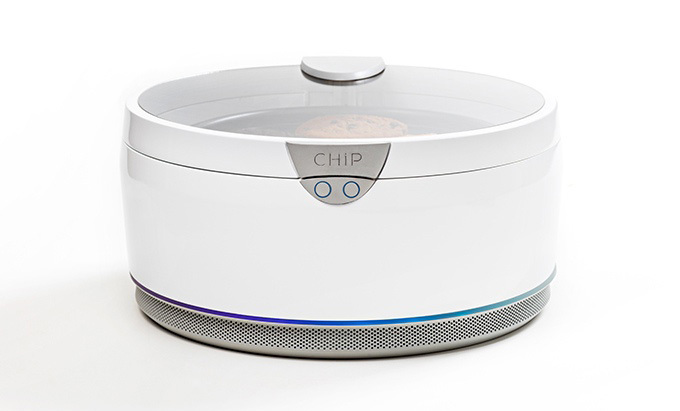 How it works is, you simply pick the flavor cookie you like and scan the package with your smart phone's app, open the top lid, place up to 4 cookie pods onto the baking tray, close the lid, and press start. Once started, the oven will immediately start baking the cookies, and a timer will also start counting down from 10 minutes which you can monitor using the app on your phone. The Keurik cookie making machine allows you to easily bake cookies on demand, with little-to-no clean-up or preparation, and even offers a large amazing selection of different flavored cookies from healthy, to not so healthy. This way you won't need to make a massive batch of 30+ cookies that will be rock-hard in a week, not to mention all the work of making the dough, and cleaning up afterwards. 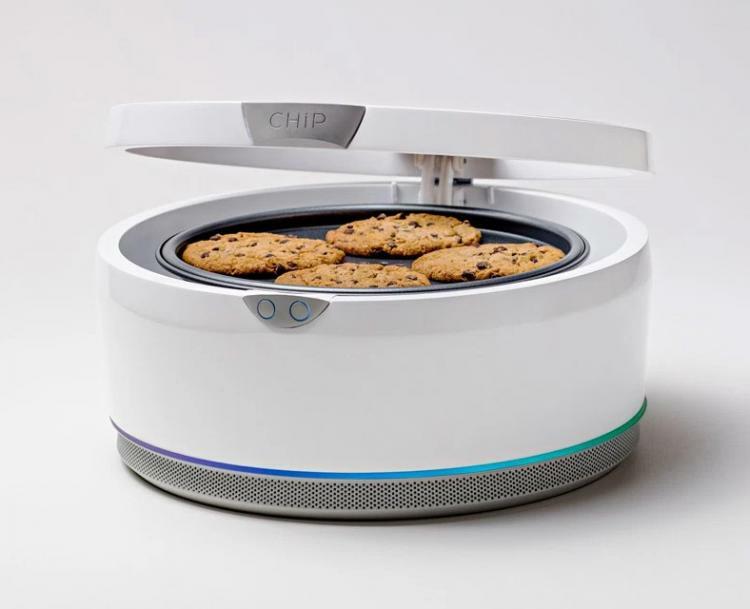 The CHiP Smart Cookie Oven always bakes perfect cookies in that you can set your preferred internal temperature and baking process so that it does it your way, and does it the same every time you want a cookie. 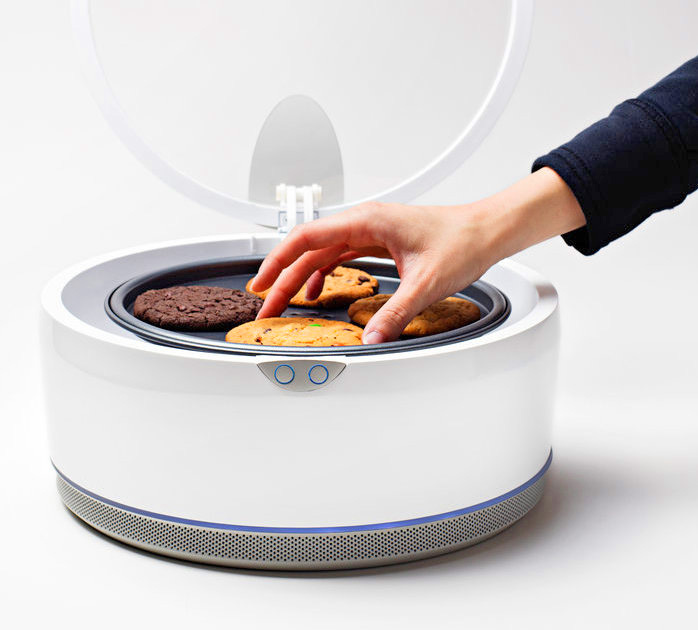 The Keurig-like on-demand smart cookie oven is currently in a funding phase on Kickstarter with an estimated delivery date of October 2017, so go reserve yours now, or get more information on their website, and be sure to check out the smart cookie oven in action via the video below. 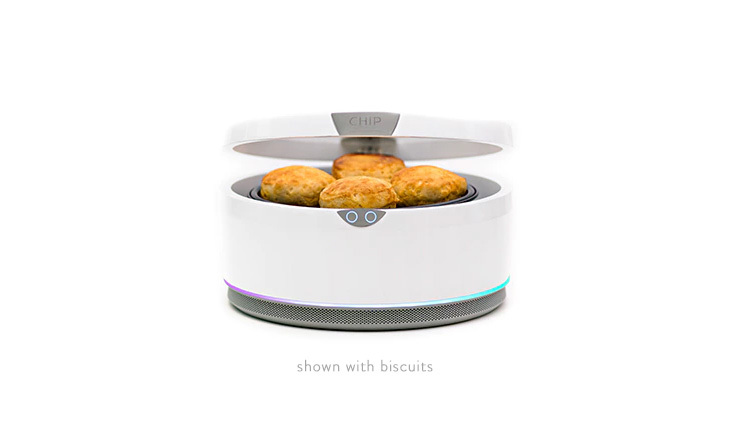 Although they're starting with just cookies, the company has other plans to make on-demand pods for biscuits and other stuff!